The ergonomic fountain pen that adapts to your hand posture! Improving a child’s writing has never been easier. The STABILO EASYbirdy fountain pen is ergonomically designed for children. Unique: its nib can be fitted at three different angles to provide the best individual hand posture. STABILO is firmly convinced that the key to improving handwriting begins with the writing tool used. Thanks to its non-slip and ergonomic grip zones made for either hand, EASYbirdy fountain pen is suited to children over the age of seven. The unique design allows the nib of the fountain pen to be fitted at three different angles. This feature allows the child to find an ergonomic writing posture that is perfectly suited to their individual hand. Moreover, the replaceable nib sizes of the STABILO EASYbirdy make the fountain pen ideal for individual needs. The fountain pen is available 3 sizes - A (beginner), M (standard) and EF (extra-fine – not available in Europe). The school fountain pen is refillable using one large capacity cartridge or two small, standard cartridges. Additionally, it features two large viewing windows for easy monitoring of ink levels and it has a space for inscribing name. Learn here how you can adjust the nib to suit your child’s hand posture. 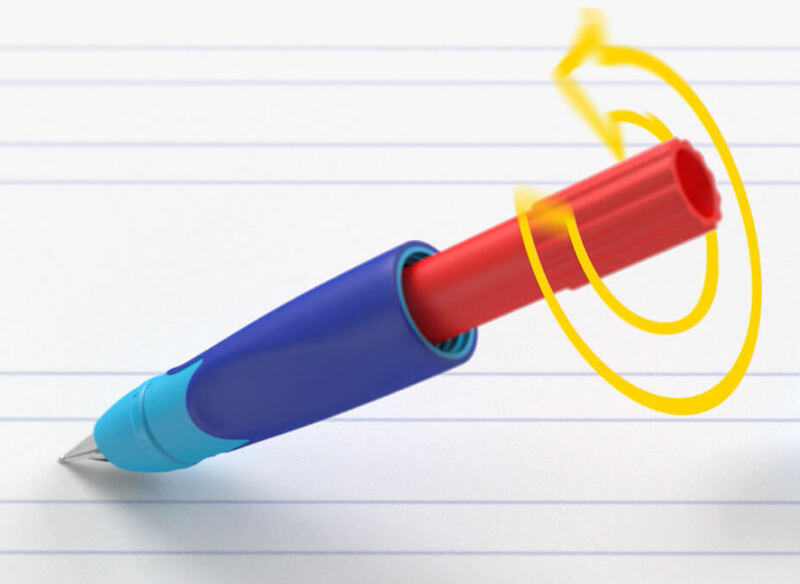 You already bought a STABILO EASYbirdy fountain pen but you don’t have the matching red EASYbirdy adjustment tool to adapt the nib to suit your child’s hand posture? Please get here in touch with our customer service and we will send you the adjustment tool free of charge.